This was my first time doing the Haunted Hayride. It has been on my list for years now since it screams Los Angeles. 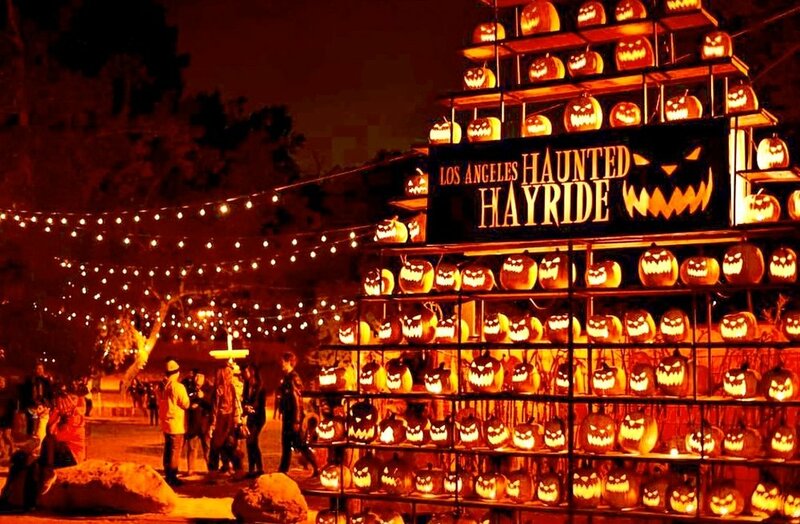 A haunt deep in Griffith Park at the old zoo, that alone is the makings of something great. What I really enjoyed about this one was the community feel. It is much mellower than some of the other haunts, but I think that is what gives it some charm. Kids and adults alike can enjoy and be scared without any lasting trauma (but some keeping with some good jump scares). The kids we encountered were excited, parents were wide-eyed, and everyone having a blast. They do such a great job with costumes and set design, that gives it chemistry unlike any other. Piled in the back of a tractor full of hay, we round the trail with something new at every turn. The actors are what really bring this to life. 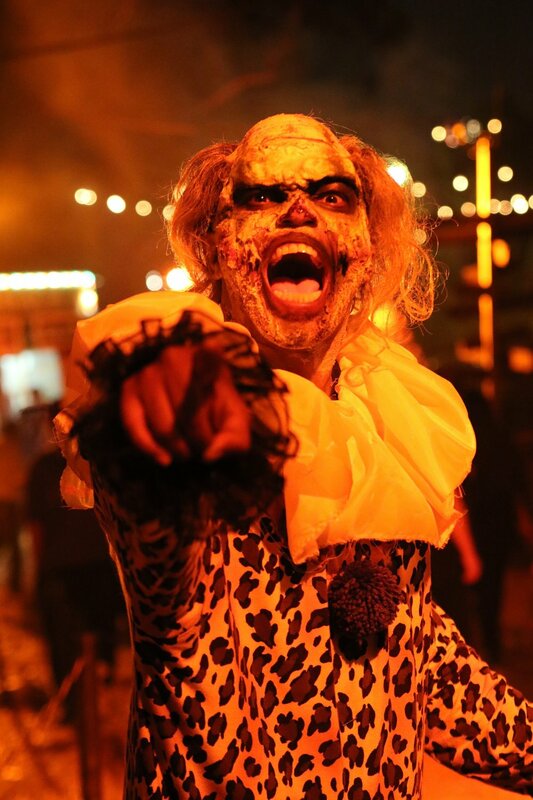 From zombie rock stars to killer bikers, each embraced their rolls and had the spectators closest to the edge of the cart shrieking with terror and delight. I sat in the center and had an absolute blast watching everyone trying to avoid the ghouls as they lean in. There are a few mazes to partake in as well. The “Trick or Treat” maze was a more safe for the younger crowds. Each door you approach had some new character to make you jump and interact with. On the opposite side of the spectrum was the “House of Shadows” maze. I will warn anyone with light sensitivity issues to maybe avoid. It took me a good half hour to get my head refocused when done. Noise, strobe lights, dead ends and mischievous characters leading you astray, by the end I felt the walls were moving on me. So in summary it gives you anxiety, which is what an intense maze should. Take a ride through the woods of L.A. and enjoy being scared within nature.